This is a textbook designed for an advanced course in control theory. Currently most textbooks on the subject either looks at "multivariate" systems or "non-linear" systems. However, Control Theory is the only textbook available that covers both. It explains current developments in these two types of control techniques, and looks at tools for computer-aided design, for example Matlab and its toolboxes. To make full use of computer design tools, a good understanding of their theoretical basis is necessary, and to enable this, the book presents relevant mathematics clearly and simply. The practical limits of control systems are explored, and the relevance of these to control design are discussed. 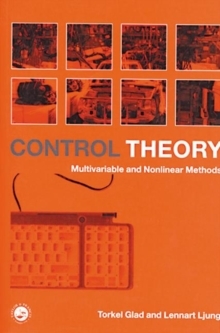 Control Theory is an ideal textbook for final-year undergraduate and postgraduate courses, and the student will be helped by a series of exercises at the end of each chapter. Professional engineers will also welcome it as a core reference.